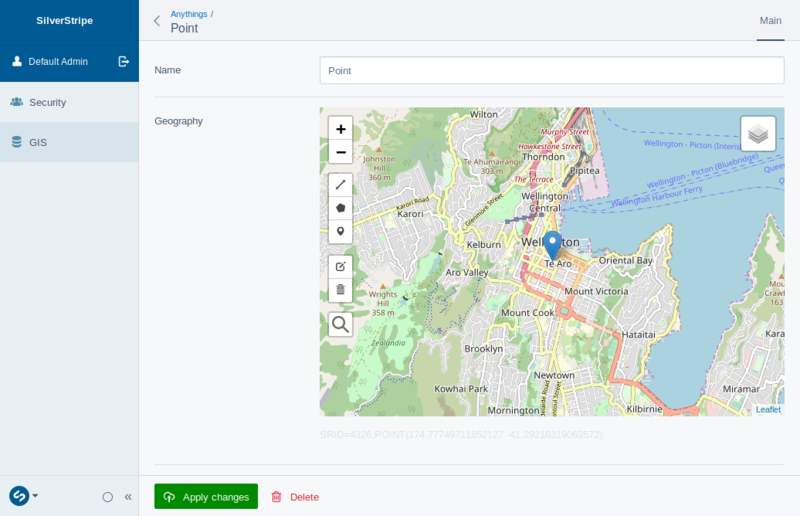 GIS developer toolkit for SilverStripe, turns SilverStripe into a GeoCMS and map service. MySQL natively supports geometries since version 5.7.6 but not geographies or raster data. $ sudo -u postgres psql SS_gis -c "create extension postgis;"
Steps two and three may not be necessary, so you might want to try one and four first and if four fails, do two, three and four. silverstripe-gis, like any other SilverStripe module, can be configured using YAML files, the Config class or private static properties of Configurables. Check out the following sections to see what can be configured. Why would you bother? - And if you should, what should you bother about? The module is incompatible with the framework versions 4.3.1 and 4.3.2, which disallowed parameterised field assignments. The issue has been fixed, so that all versions of the framework before 4.3.1 and after 4.3.2 are working.